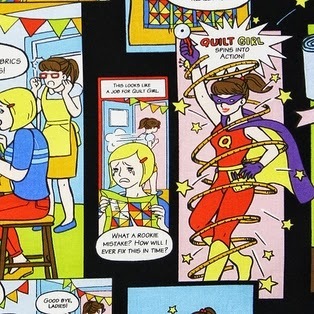 Beverly's Official Blog | News and findings from world of crafts, scrapbooking and more: Faster Than A Spinning Bobbin...It's Quilt Girl! 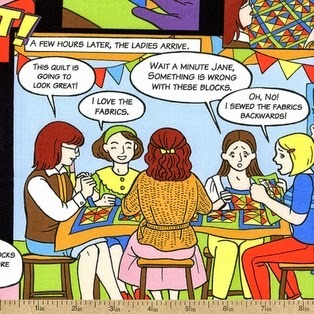 Faster Than A Spinning Bobbin...It's Quilt Girl! 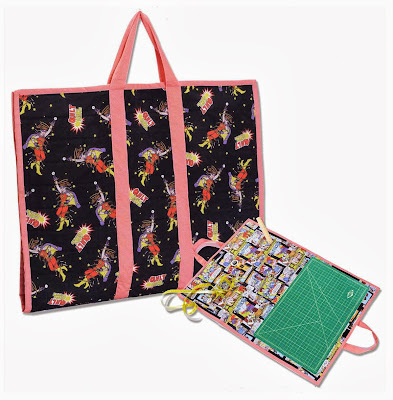 Looking for an adventurous way to tote your fabric portfolio around? Or have an itch for an oversized bag to store your craft supplies in? This portfolio tote, featuring one of our recent favorite collections, Quilt Girl, is for you! Features two sturdy supporting straps which wrap around either side, and edging which helps keep your contents stable while in transit. Take a peek at a few of the other Quilt Girl prints we offer, then proceed to the project pattern from Windham. The pattern is free, so print it out and keep it close as you work! We'd love to see your finished product...feel free to post it on our Facebook Wall once you're all done.